The Rat is one of the 12 zodiac symbols associated with the Chinese Lunar Calendar. Some Chinese believe their fate is closely tied to the zodiac symbols in the year in which they were born. 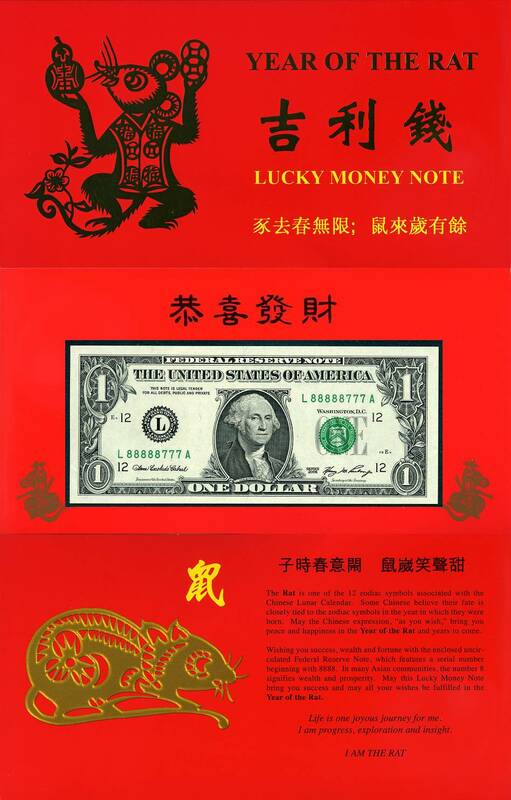 This Lucky Money Note package features an uncirculated $1 note with a serial number beginning with “8888.” May the “Year of the Rat” note bring you good fortune and success.